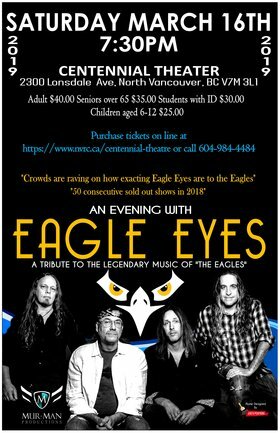 "Eagle Eyes - Official Bio"
Eagle Eyes has taken great care and dedication recreating the harmonies and capturing the LIVE true magic within the harmonies that the Eagles are renowned for. 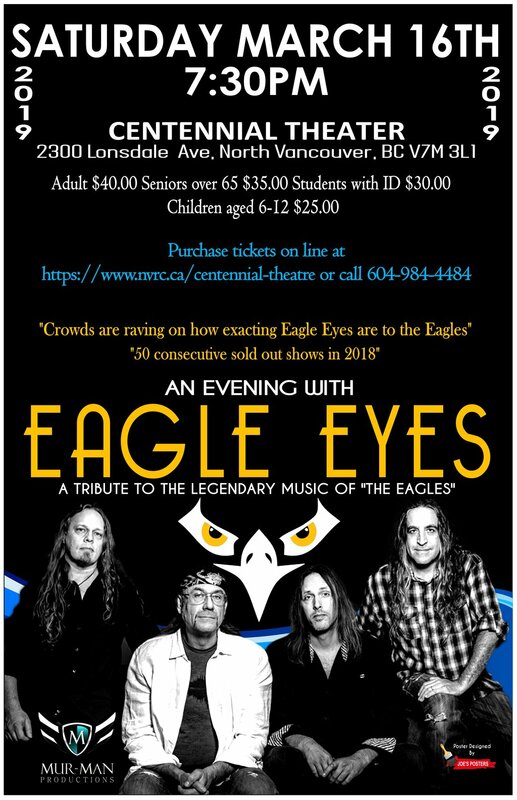 Hailing from Southern Vancouver Island, BC, the four members of Eagle Eyes have over 120 years of combined experience as professional touring musicians honing their musical and vocal skills. Eagle Eyes audiences are being captivated by the bands live performances and natural vocal harmonies, not to mention the music. of Eagles hits, Eagle Eyes is a 'must see' for all Eagles fans!"